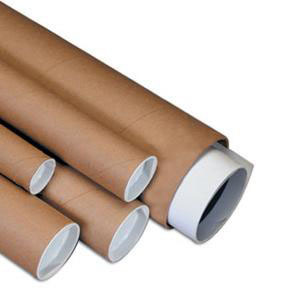 Poster created ca. 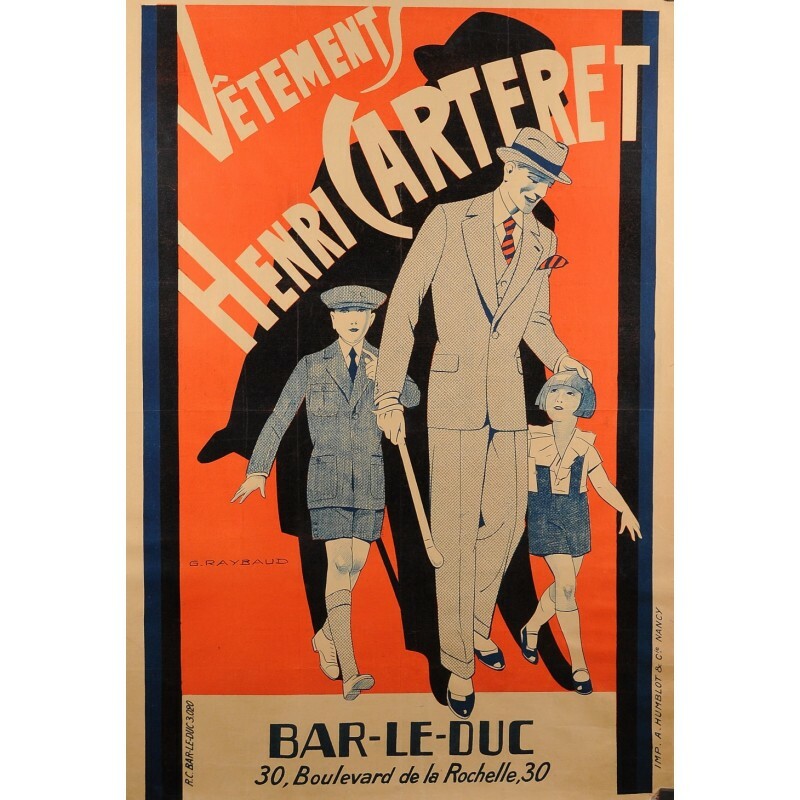 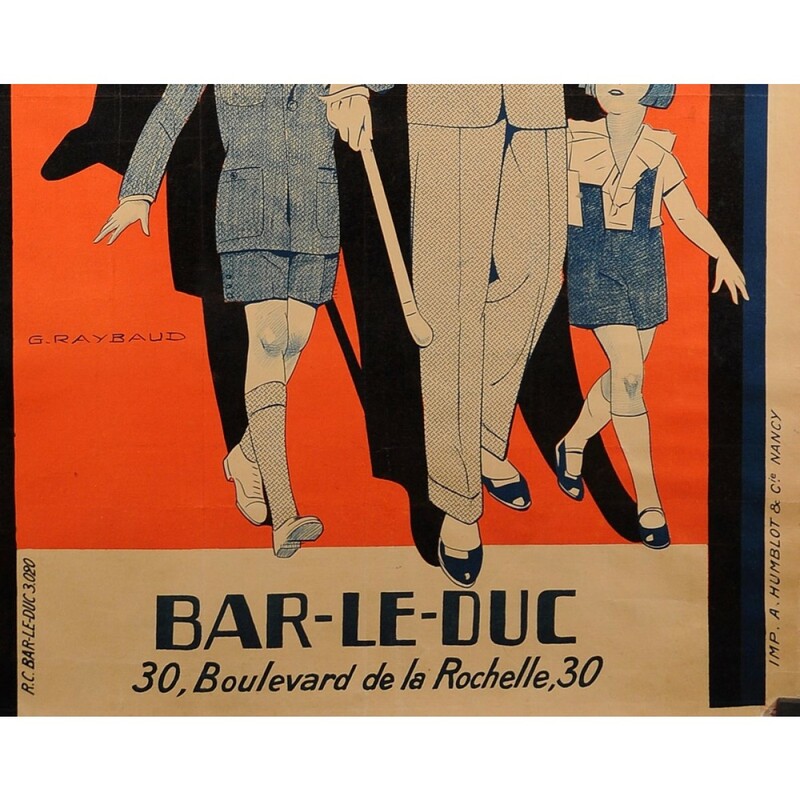 1930 by G. Raybaud for the Henri Carteret clothing store in Bar–le–Duc, Eastern Fance. 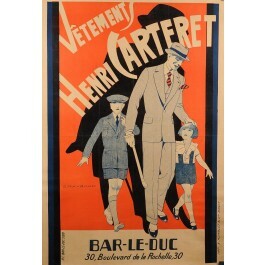 The proud father and his two children epitomize the bon–ton or good taste prevailing at the time in matters of dressing.